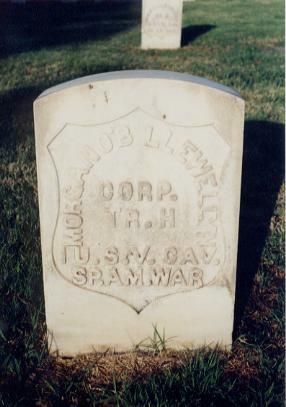 Below are photos of the graves of Capt. 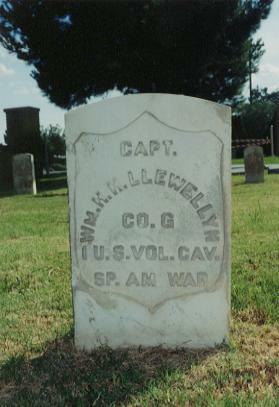 William H. H. Llewellyn and Morgan O'B. Llewelyn. Both of these me are buried in the Masonic Cemetery at Las Cruces, Dona Ana County New Mexico. Both of these men served in the 1st U.S. Volunteer Cavalry ("Rough Riders). William was the captain of Troop G, while Morgan was a corporal in Troop H.